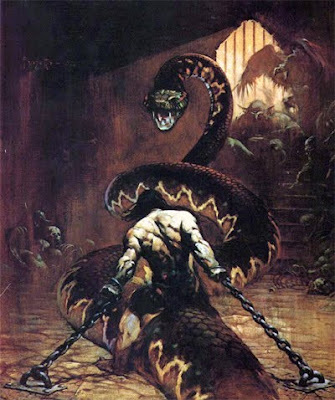 Frazetta too passed on this year . His art was a huge influence of so many of us in the day. Funny enough I was not one of them. He was a great artist, no argument there, but I never cared for the thud and blunder style of his art. It was just too, metal I guess. I preferred softer fare like Hildebrand or later Elmore. Conan may not have had that much gymnasium muscle but that is a powerful work.